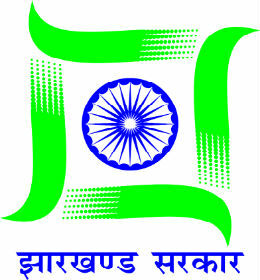 Department of Industries, Mines and Geology is one of the important Department of Government of Jharkhand. It is the administrative Department of the Directorate of Mines and the Directorate of Geology. The main functions and activities of the Department are systematic survey and assessment of the mineral deposits of the State, their exploitation, administration of mines and mineral concession, enforcement measures for prevention of illegal mining and smuggling of minerals and assessment and collection of mining revenue. The Department strives for sustainable development of mineral resources in a scientific and Eco-friendly manner; so as to create a conducive environment for industrial growth in the state. A rich mineral producing state where natural resources are used optimally and equitably keeping strict environmental safeguards in the overall interest of the state and its people. Exploration, development and administration of existing mineral potential of the state to ensure optimum, secured and sustainable utilization of mineral resources for the socioeconomic development of the people of Jharkhand under strict environmental safe guards.